From his law office in Metairie, Louisiana, Brewster Law Firm LLC, attorney Arthur J. Brewster advocates on behalf of injured and disabled workers, focusing on those involved in the maritime industries, including shipyard workers, longshoremen, stevedores, port workers and offshore oilfield workers.. In addition, he and his law firm also serve those who suffered an injury or lost a loved one as the result of someone else's negligence or wrongdoing. 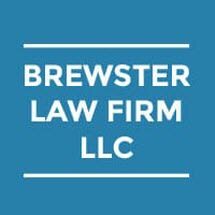 Nationally recognized as a leader in claims involving the Longshore and Harbor Workers' Compensation Act and possessing over 30 years of legal experience, Mr. Brewster represents clients throughout Louisiana and the Gulf Coast who seek their rightful compensation following an accident on the job. Moreover, he also has in-depth knowledge of the Defense Base Act and serves clients around the country in pursuit of their claims. Personable, responsive and sympathetic to his clients' struggles, Mr. Brewster has received numerous awards and honors for his professionalism and service, including being AV Preeminent peer-review rated* through Martindale-Hubbell. To find out more about how Mr. Brewster and Brewster Law Firm LLC can best serve you, your family or your company with your serious legal challenge, you can contact his law office to schedule a free initial consultation.